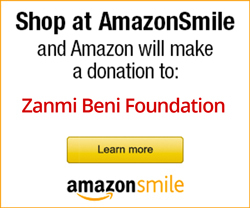 Over 100 people gathered at Calamari Restaurant in Coconut Grove on September 25, 2014 to support Zanmi Beni. This year’s annual dinner was hosted by Carolyn Borlenghi Harris and Malena Giro. Funds raised at this festive dinner provided for back packs, books, school supplies and school uniforms for the children of Zanmi Beni. Grateful thanks to all who participated! No Replies to "Miami Friends of Zanmi Beni Dinner Raises Money for School Supplies"